A Brave Birth seeks to support moms in labor and provide information, stories and resources for clients and beyond. As the premier comprehensive on-call doula service in Austin, ATX Doulas is dedicated to providing support for women and families throughout the childbearing year. As birth doulas we are passionate about helping you achieve your best birth, whatever that might mean to you. We see ourselves as birth guides, helping you navigate the sometimes overwhelming world of childbirth. Collectively, we have many years and hundred of births under our belts, and we draw from that wealth of knowledge and experience to offer evidence-based information, resources, and suggestions when needed so that you can have an empowered birth experience and all of the resources you need to make informed decisions. Members of the ATX team have worked together in a collective setting since 2010. An overnight Doula helps take care of the baby during the night time hours. As a Doula, she is there to support the developing family. She helps make sure that mom gets plenty of rest. This is often a key factor in avoiding postpartum depression. She helps the family learn nighttime parenting techniques, such as how to support their baby in learning self soothing and setting up a healthy sleep environment. She supports the baby in learning to resettle himself. She is knowledgeable about breastfeeding. She supports mom in learning how to feed her baby during the night with minimal sleep interruption for both of them. We now also offer some exciting classes… Infant Safety, intro to breastfeeding, and newborn care! Austin Doula Collective is a group of women who offer loving and strong labor and postpartum doula support. We believe in the strength and beauty in every woman and we feel privileged to see it shine when we work with mamas. We offer many services to support pregnant mamas: doula support, in home massage, in home yoga sessions, personal training and nutrition planning. We offer postnatal doula services to support mama and family in this important transitional period. We also offer postnatal yoga and personal training when mama is ready to stretch, support and strengthen her body. We believe in EVIDENCE BASED care. Holistic support is a great compliment to that care. You do not have to have one or the other. You can have Holistic, Evidence based care! Labor doula support – Get the support you desire. Maternity Consulting – Have the best pregnancy you can! From someone who specializes in all things holistic. Ellie is a trained Breastfeeding and childbirth educator, placenta specialist, certified naturopath, life Coach with a Bachelors degree in Natural Medicine and is currently working towards becoming a midwife while working on the Master’s Degree portion of her BS to PhD program in Naturopathic medicine and Women’s Health. She has dedicated her life to holistic medicine and learning about pregnancy, childbirth and family education. She has been serving families since 2001 as a Childbirth Educator, Nanny and Doula in 2009. Bastet Birthing provides full spectrum doula support. Birth and post partum doula. Bereavement doula for the planned and unplanned pregnancy and child loss. Prenatal yoga to prepare for birth and labor with a specialty in mindfulness techniques for supporting pain in the natural birthing process. 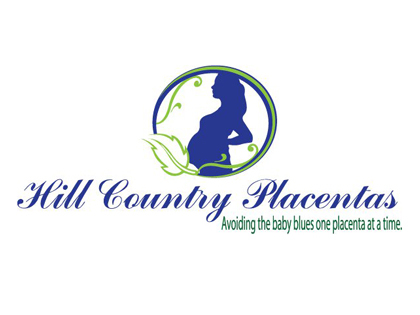 And post partum care with placenta encapsulation. I am also certified in the use of a Rebozo, a tool in assisting women in labor. Bhakti [bhuk-tee] is Sanskrit for selfless devotion. I come from a yoga/meditation background which I apply to pregnancy, birth and the postpartum transition into motherhood. I honor the woman and her whole family in each moment of her journey because it’s in the work of pregnancy and birth that mothers, fathers, siblings and grandparents are born. As a doula I support the entire family by being a calm presence and holding space as they begin their new life together. LCSW. Doula. Birth Nerd. 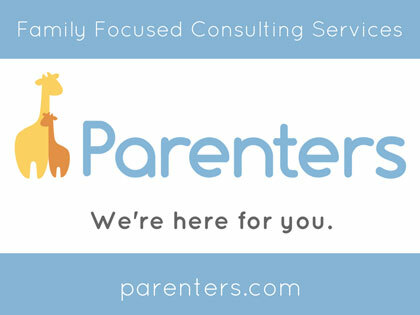 Providing birth, postpartum, and mental health support services to new parents. Our hope is to validate and normalize the transformative experience of new parenthood. We believe wholeheartedly in the healing power of relationships and empathic support and feel emotional preparedness is a critical component in the sacred space of pregnancy, birth, and postpartum. We value parental wellness and are passionate about serving the link between birth and mental health. 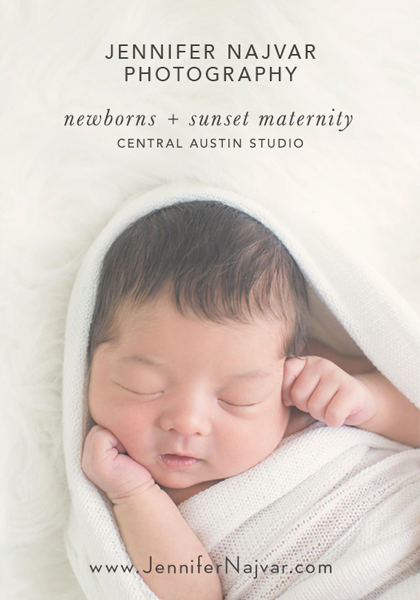 Birth Works ATX offers birth and postpartum support to all persons in Austin and the surrounding areas. Jacqueline Chandler is the lead doula and has always been passionate about reproductive health and justice. After the birth of her son, she decided to follow her heart and assist families in Austin to have the most positive birth experience possible. Working full-time outside the home, and making the transition back to the office after only ten weeks off postpartum, has shaped her outlook on life pre- and post-birth and has provided her with a unique vantage point from where to serve families. She believes that it is a basic human right to birth the way one chooses and have access to all the information one needs to make informed choices. For those persons who want caring, knowledgeable assistance, she is here to help and would love the opportunity to meet with you. I offer compassionate birth and postpartum doula care to guide families through the labyrinth of birth. Working together to build the perfect birth team, we create a loving atmosphere for the birth of your new family. Deep listening and a heart full of love guide me in helping you find your path to parenthood. I support families in making the best choices for them for the birth. Each birth is a new opportunity to create light and bring joy. I cherish the chance to help birthing couples find their strength and voice. The nurturing I offer families is non-judgmental and empowering. Postpartum Doula care for infants and their families. Supporting infant feeding decisions, maternal recovery and sustainable parenting choices. Contact me for a custom care package for an optimal postpartum period. Central Texas Birth serves families by providing evidence-based childbirth education classes, breastfeeding support, and birth & postpartum doula services. Serving the North Austin, Waco, Temple, Killeen, Copperas Cove, Fort Hood, and Gatesville, Texas, area. I witness families birthed through love. Families who support each other, who see each other’s strength and who are connected throughout the journey. The parenting journey is such a short season in a person’s life, yet one of the most profound. Our intention is to offer evidence-based information, professional non-judgmental support and a peaceful presence so that you may allow yourself to “let go” and be fully present in your experience. Doulas of Austin is a premier full service doula agency providing full spectrum doula support from pregnancy through toddlerhood to families in Austin and the surrounding areas. An exceptional doula service provided by Jamie Crouse Gwynn, Ph.D, CD(DONA), serving families in Austin, TX and the surrounding North and East communities. Empowered Birthing supports the birthing family throughout pregnancy, birth, and the postpartum period by providing educational, emotional, and physical support to help you achieve the birth experience you’ve been dreaming of. Kate Pavlovsky is a Certified Birth Doula and Licensed Massage Therapist serving women in the Austin area. Her goal is to provide women with the support they desire throughout labor, birth, and the postpartum period so they emerge from their experience feeling positive and confident. Kate believes in evidence-based birthing practices that support both mother and baby’s needs. She utilizes her skills as a Licensed Massage Therapist to provide comfort to mothers before, during, and after labor. She trusts in women’s innate ability to give birth; she is calm yet strongly supportive during a woman’s labor as she offers comfort techniques or simply her benevolent presence throughout the experience. As your postpartum doula, Mary helps create a smooth transition when your baby arrives by helping new parents to rest, learn, and thrive as a family. Nurturing new families from birth to twelve weeks. Services in the areas of Georgetown, Round Rock, Hutto, Cedar Park, North Austin, Salado, Belton, Fort Hood, and Killeen, Texas. Providing postpartum “fourth trimester” doula support for mamas and their families in the Austin area. Becky Core, a professional Birth Doula in Austin, provides prenatal, labor, and postpartum support for expecting mothers in Central Texas. We offer support to women during pregnancy through birth and beyond. We also offer many other services. A doula partnership serving the Austin, Cedar Park, Georgetown, Salado, Killeen, Belton, and Waco areas of Texas. Lovely is defined as “Exquisitely Beautiful.” I created Lovely & Little because I firmly believe birth can be lovely regardless of what path you choose or past experiences. As a mother myself, I know that compassionate care, emotional and physical support and most of all LOVE can make all the difference during your pregnancy, birth and postpartum journey. I approach every family with an open heart, eagerness to provide peace of mind through comfort and support and willingness to hold that very special space during the most important time of their lives. Hello, my name is Julie Le I’m a certified birth doula through DONA International and a microbiologist with the Texas Department of Health. I grew up in Austin, TX and am passionate about building our community through birth empowerment. I went to St. Edwards University and graduated with a degree in biology – before I became a doula I was a wilderness ranger, entomologist, and geneticist! I couple my scientific training and compassion to offer evidence-based, non-judgmental care. My practice centers on building peace and empathy in the birthing room while supporting mama’s choices and intuition about her body and mind. When I’m not doula’ing, I love to travel, hike, camp, read, and watch movies with my pup Jasper and amazing partner, Chuck. I am also the Volunteer Coordinator for Giving Austin Labor Support and I serve on the Board of Directors of Wheatsville Food Co-op. Mamas on Bedrest & Beyond specializes in providing ante partum, birth and post partum doula services to high risk pregnant women who may or may not be on prescribed bed rest. We believe that every woman who so desires, should have a wonderful pregnancy, labor and delivery, and we do all that we can to ensure that as much as possible, mama has her baby her way! Nurtured Nest, LLC provides birth and postpartum doula support, childbirth education, breastfeeding consultations and classes, as well as support groups in the greater Austin area. We are located in Bastrop. Trained birth doula and mother of five. I offer prenatal & labor support as well as birth story processing. Providing highly personalized Birth Doula services since 2010, Julie is a compassionate and experienced doula attending hospital, birth center and home births. . She brings a level head and gentle hands to you birth, along with a wealth of knowledge about the birth scene in Austin. Other specialties include: Childbirth Education (Bradley Method trained), optimal fetal positioning for easier birth, Postpartum Doula specializing in overnight support for new families (lactation support, Happiest Baby on the Block and postpartum health trained). I am a DTI certified birth and postpartum doula in Austin, TX. Transformative care for the childbearing year. Our Positive Birth Community is a group of women and mothers committed to encouraging, educating, and empowering families in pregnancy, childbirth and parenthood. We formed this Collective to allow ourselves to fulfill the passion we have of supporting our families at home, as well as serving our families who are pregnant, laboring, giving birth and learning about their new addition! Our doula and educational collective allows us to meet the needs of our partners and our children so that we can support you completely. I am a mother of five and student midwife who is dedicated to helping you achieve the birth you want and supporting you prenatally as well as post partum. I use massage, aromatherapy, acupressure, and rebozo to ease the strain of labor and allow you to focus on bringing your little one into the world in a supported, nurturing environment. Stephanie Spitzer-Hanks is a Certified Birth & Postpartum Doula, Lactation Counselor, Childbirth Educator and an Evidence Based Birth® Instructor. She is the owner of revdoula, the mother of two, and a self-confessed birth geek. Based in North Central Austin, Stephanie provides birth doula, postpartum doula, and breastfeeding support to families all over Austin. Private childbirth and breastfeeding classes can be tailored to your needs and schedule. My name is Sarah Parente and I am a Certified Labor Doula. My passion as a doula is to support women emotionally and physically in achieving their best birthing experience. Stork Maternity Consulting is the first luxury in-home consulting, concierge, and doula boutique in the Austin area. We are certified Labor and Postpartum Doulas, Lactation Specialists, Certified Child Passenger Safety Technicians, Parent and Communication Specialists, and Baby Gear Educators. Additionally, a number of our team experts have medical experience, working with neonatal, antepartum and postpartum, labor and delivery, and pediatric professionals. Stork Maternity Consulting provides an exceptional level of care through an intimate customized approach to all pregnancy, baby and postpartum needs. With Stork’s one-on-one consultations and small class settings, parents are able to learn everything they need to know about pregnancy, birth and baby at a pace that matches their lifestyle. One of the hallmark values of Stork is guiding parents in making the best decisions for their growing family in an unbiased, non-judgemental atmosphere. Stork counsels parents through every step of their exciting journey through preconception, pregnancy and beyond. 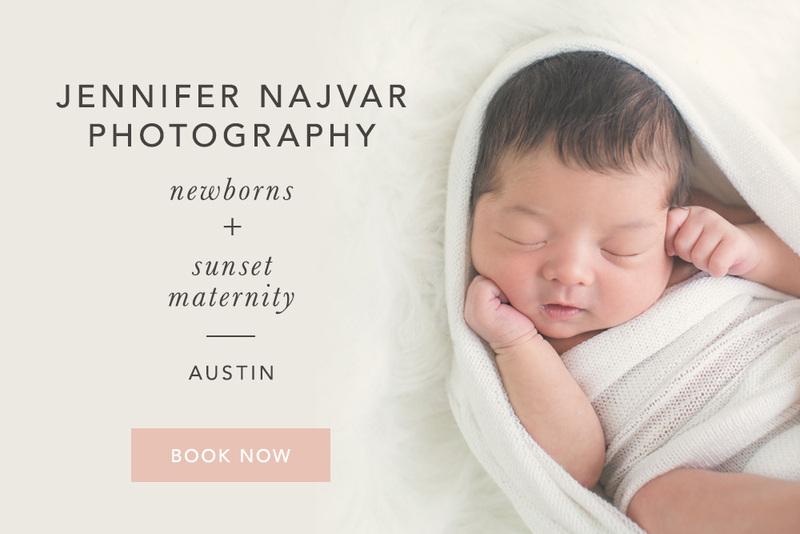 We also provide a concierge service to help our mothers find the best professionals in Austin for anything from prenatal Yoga and Pilates instructors to baby proofers, photographers, sleep consultants, and more. When you hire me, you are hiring a psychotherapist who is also trained as a birth doula, to join you in the childbirth process. I am trained to teach people coping skills for anxiety and stress, as well as to help people cope in-the-moment in crisis situations. Typically, giving birth is not a crisis. It is a natural event in our lives. I offer in-home counseling sessions and psychoeducational classes for individuals and couples. A life event like pregnancy often brings up extreme emotions or unresolved issues concerning our own parents and childhoods. I utilize Internal Family Systems, or “parts work.” in therapeutic services to explore how these past events or relationships cause current emotions. Part of the therapeutic process is unburdening yourself of past beliefs holding you back from becoming the parent you want to be. The number one complication of childbirth is maternal mental health issues. I am trained to assess and refer appropriately to get you the the help you deserve. I also work with mothers who are survivors of sexual assault and/or birth trauma to create a birth plan to make you feel safe, comfortable, and empowered. I do not replace your birth partner(s), but rather, enhance your birth experience. I support you in advocating for yourself, whether you choose a hospital birth, low-intervention, or change your mind during labor. I believe your body knows best how to give birth, and that in labor, you yourself will intuit what is needed for your birth experience. The surrounding environment and your frame of mind greatly affect your experience, and I assist in tuning that so you feel safe and comfortable. The educated mother is a confident mother with the power of choice. I want this to carry forward throughout a lifetime of motherhood. Birth is an opportunity for transformation, a way to reclaim your body. I would be honored to be present for your labor and birth. Full-spectrum doula service helping Austin’s families feel supported through life’s biggest transition. I am a birth and postpartum doula serving the greater Austin area. I am an advocate for birth and love educating and empowering women about birth.